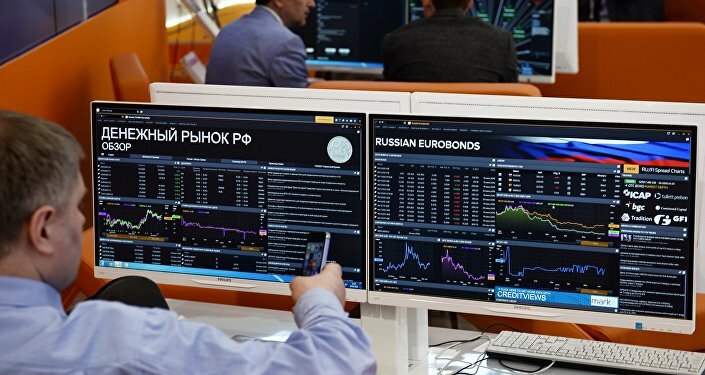 The majority of Russian eurobonds in Tuesday's issue were bought by foreign investors, with the largest portion purchased by US buyers, Andrey Solovyev, the head of the debt capital market department at VTB Capital, the placement organizer, said Tuesday. MOSCOW (Sputnik) — European and Asian investors also actively bought the bonds, Solovyev said following the placement. Earlier in the day, the Russian Finance Ministry placed the issue of eurobonds with a repayment in 2027 worth $1 billion with a rate of semi-annual coupons at 4.25 percent per annum and an issue with repayment in 2047 worth $2 billion with semi-annual coupons of 5.25 percent per annum. "This is the lowest possible coupon rate for the entire history of Russia's sovereign eurobond placements. Despite the difficult market conditions, the placement was oversubscribed more than twice, the volume of the bid book exceeded $6 billion," Solovyev said. A eurobond is an international bond which is denominated in a currency other than the home currency of the country or market in which it is issued. The member states of the eurozone collectively guarantee the eurobond debt.